This Regulation provides for the absence of border control of persons crossing the internal borders between the Member States of the Union. It lays down rules governing border control of persons crossing the external borders of the Member States of the Union. 21. ‘threat to public health’ means any disease with epidemic potential as defined by the International Health Regulations of the World Health Organization and other infectious diseases or contagious parasitic diseases if they are the subject of protection provisions applying to nationals of the Member States. (b) the rights of refugees and persons requesting international protection, in particular as regards non-refoulement. When applying this Regulation, Member States shall act in full compliance with relevant Union law, including the Charter of Fundamental Rights of the European Union (‘the Charter’), relevant international law, including the Convention Relating to the Status of Refugees done at Geneva on 28 July 1951 (‘the Geneva Convention’), obligations related to access to international protection, in particular the principle of non-refoulement, and fundamental rights. In accordance with the general principles of Union law, decisions under this Regulation shall be taken on an individual basis. Member States shall notify the list of their border crossing points to the Commission in accordance with Article 39. (c) in accordance with the specific rules set out in Articles 19 and 20 in conjunction with Annexes VI and VII. 3. Without prejudice to the exceptions provided for in paragraph 2 or to their international protection obligations, Member States shall introduce penalties, in accordance with their national law, for the unauthorised crossing of external borders at places other than border crossing points or at times other than the fixed opening hours. Those penalties shall be effective, proportionate and dissuasive. (e) they are not considered to be a threat to public policy, internal security, public health or the international relations of any of the Member States, in particular where no alert has been issued in Member States’ national data bases for the purposes of refusing entry on the same grounds. 2. For the purposes of implementing paragraph 1, the date of entry shall be considered as the first day of stay on the territory of the Member States and the date of exit shall be considered as the last day of stay on the territory of the Member States. 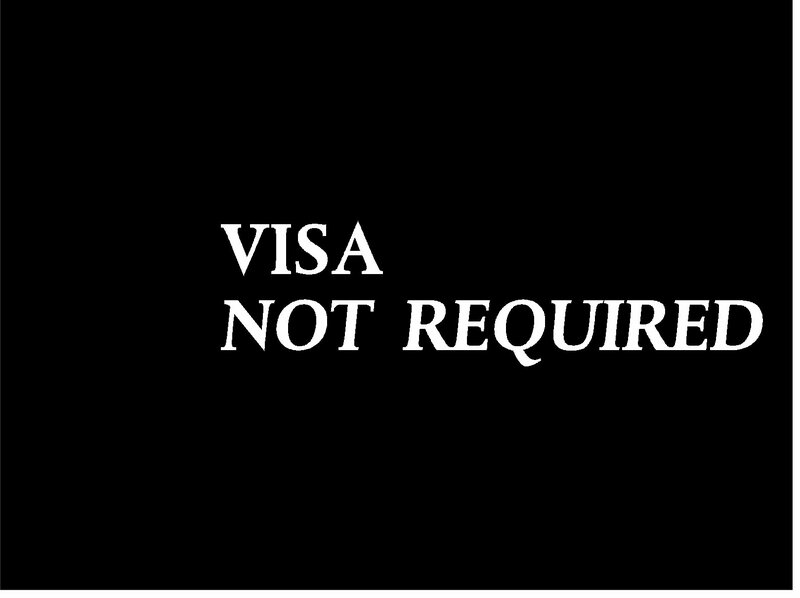 Periods of stay authorised under a residence permit or a long-stay visa shall not be taken into account in the calculation of the duration of stay on the territory of the Member States. 3. A non-exhaustive list of supporting documents which the border guard may request from the third-country national in order to verify the fulfilment of the conditions set out in paragraph 1 (c) is included in Annex I. 4. Means of subsistence shall be assessed in accordance with the duration and the purpose of the stay and by reference to average prices in the Member State(s) concerned for board and lodging in budget accommodation, multiplied by the number of days stayed. Reference amounts set by the Member States shall be notified to the Commission in accordance with Article 39. The assessment of sufficient means of subsistence may be based on the cash, travellers’ cheques and credit cards in the third-country national’s possession. Declarations of sponsorship, where such declarations are provided for by national law and letters of guarantee from hosts, as defined by national law, where the third-country national is staying with a host, may also constitute evidence of sufficient means of subsistence. (b) third-country nationals who fulfil the conditions laid down in paragraph 1, except for that laid down in point (b), and who present themselves at the border may be authorised to enter the territory of the Member States, if a visa is issued at the border in accordance with Articles 35 and 36 of Regulation (EC) No 810/2009 of the European Parliament and of the Council ( 6 ). (c) third-country nationals who do not fulfil one or more of the conditions laid down in paragraph 1 may be authorised by a Member State to enter its territory on humanitarian grounds, on grounds of national interest or because of international obligations. Where the third-country national concerned is the subject of an alert as referred to in paragraph 1(d), the Member State authorising him or her to enter its territory shall inform the other Member States accordingly. 1. Border guards shall, in the performance of their duties, fully respect human dignity, in particular in cases involving vulnerable persons. For passports and travel documents containing a storage medium as referred to in Article 1(2) of Council Regulation (EC) No 2252/2004 ( 8 ), the authenticity of the chip data shall be checked. (b) verification that a person enjoying the right of free movement under Union law is not considered to be a threat to the public policy, internal security, public health or international relations of any of the Member States, including by consulting the SIS and other relevant Union databases. This is without prejudice to the consultation of national and Interpol databases. The Member State concerned shall transmit its risk assessment and updates thereto to the European Border and Coast Guard Agency (‘the Agency’), established by Regulation (EU) 2016/1624 of the European Parliament and of the Council ( 9 ), without delay and shall report every six months to the Commission and to the Agency on the application of the checks against the databases carried out on a targeted basis. The Member State concerned may decide to classify the risk assessment or parts thereof. 2e. The checks against the databases referred to in points (a) and (b) of paragraph 2 may be carried out in advance on the basis of passenger data received in accordance with Council Directive 2004/82/EC ( 10 ) or in accordance with other Union or national law. (iii) on the basis of an assessment there is no risk related to internal security and illegal immigration. (d) the decision to consult the VIS in accordance with point (c) shall be taken by the border guard in command at the border crossing point or at a higher level. (ia) the checks against the databases referred to in point (a)(i) and (vi) and point (g) may be carried out in advance on the basis of passenger data received in accordance with Directive 2004/82/EC or with other Union or national law. (ib) where there are doubts as to the authenticity of the travel document or the identity of the third-country national, the checks, where possible, shall include the verification of at least one of the biometric identifiers integrated into the travel documents. 5. Without prejudice to the second subparagraph, third-country nationals subject to a thorough second line check shall be given written information in a language which they understand or may reasonably be presumed to understand, or in another effective way, on the purpose of, and the procedure for, such a check. 6. Checks on a person enjoying the right of free movement under Union law shall be carried out in accordance with Directive 2004/38/EC. 8. Where Article 5(2)(a) or (b) applies, Member States may also provide derogations from the rules set out in this Article. 3. Even in the event that checks are relaxed, the border guard shall stamp the travel documents of third-country nationals both on entry and exit, in accordance with Article 11. 1. Member States shall provide separate lanes, in particular at air border crossing points in order to carry out checks on persons, in accordance with Article 8. Such lanes shall be differentiated by means of the signs bearing the indications set out in Annex III. Member States may provide separate lanes at their sea and land border crossing points and at borders between Member States which do not apply Article 22 at their common borders. The signs bearing the indications set out in Annex III shall be used if Member States provide separate lanes at those borders. 2. 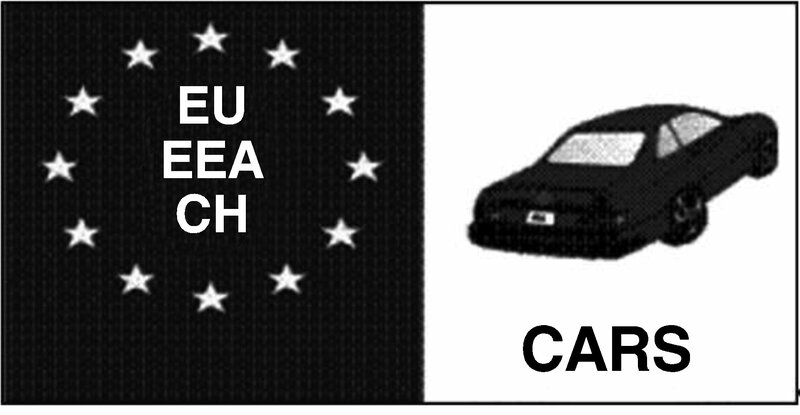 Persons enjoying the right of free movement under Union law are entitled to use the lanes indicated by the sign shown in Part A (‘EU, EEA, CH’) of Annex III. They may also use the lanes indicated by the sign shown in Part B1 (‘visa not required’) and Part B2 (‘all passports’) of Annex III. 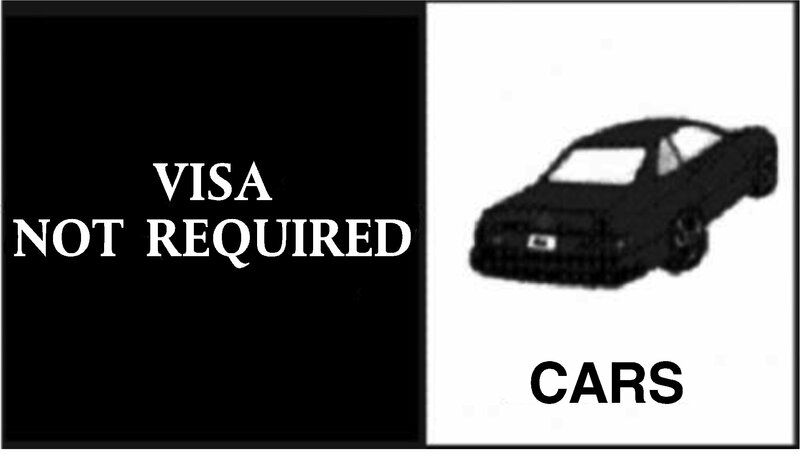 Third-country nationals who are not obliged to possess a visa when crossing the external borders of the Member States in accordance with Regulation (EC) No 539/2001 and third-country nationals who hold a valid residence permit or long-stay visa may use the lanes indicated by the sign shown in Part B1 (‘visa not required’) of Annex III to this Regulation. They may also use the lanes indicated by the sign shown in Part B2 (‘all passports’) of Annex III to this Regulation. All other persons shall use the lanes indicated by the sign shown in Part B2 (‘all passports’) of Annex III. The indications on the signs referred to in the first, second and third subparagraphs may be displayed in such language or languages as each Member State considers appropriate. The provision of separate lanes indicated by the sign shown in Part B1 (‘visa not required’) of Annex III is not obligatory. Member States shall decide whether to do so and at which border crossing points in accordance with practical needs. (c) the documents enabling third-country nationals not subject to a visa requirement to cross the border. 2. The travel documents of nationals of third countries who are members of the family of a Union citizen to whom Directive 2004/38/EC applies, but who do not present the residence card provided for in that Directive, shall be stamped on entry and exit. The travel documents of nationals of third countries who are members of the family of nationals of third countries enjoying the right of free movement under Union law, but who do not present the residence card provided for in Directive 2004/38/EC, shall be stamped on entry and exit. (g) to the travel documents of nationals of third countries who present a residence card provided for in Directive 2004/38/EC. Exceptionally, at the request of a third-country national, insertion of an entry or exit stamp may be dispensed with if insertion might cause serious difficulties for that person. In that case, entry or exit shall be recorded on a separate sheet indicating that person’s name and passport number. That sheet shall be given to the third-country national. The competent authorities of the Member States may keep statistics of such exceptional cases and may provide those statistics to the Commission. 5. Whenever possible, third-country nationals shall be informed of the border guard’s obligation to stamp their travel document on entry and exit, even where checks are relaxed in accordance with Article 9. (b) where the third-country national is found on the territory of a Member State in respect of which the decision contemplated in Article 3(2) of the 2003 Act of Accession, in Article 4(2) of the 2005 Act of Accession and in Article 4(2) of the 2011 Act of Accession has not been taken, the competent authorities shall indicate, in accordance with national law and practice, in his or her travel document the date on which, and the place where, he or she crossed the external border of such a Member State. 3. Should the presumption referred to in paragraph 1 not be rebutted, the third-country national may be returned in accordance with Directive 2008/115/EC of the European Parliament and of the Council ( 11 ) and with national law respecting that Directive. 4. The relevant provisions of paragraphs 1 and 2 shall apply mutatis mutandis in the absence of an exit stamp. 1. The main purpose of border surveillance shall be to prevent unauthorised border crossings, to counter cross-border criminality and to take measures against persons who have crossed the border illegally. A person who has crossed a border illegally and who has no right to stay on the territory of the Member State concerned shall be apprehended and made subject to procedures respecting Directive 2008/115/EC. 5. The Commission shall be empowered to adopt delegated acts in accordance with Article 37 concerning additional measures governing surveillance. 1. A third-country national who does not fulfil all the entry conditions laid down in Article 6(1) and does not belong to the categories of persons referred to in Article 6(5) shall be refused entry to the territories of the Member States. This shall be without prejudice to the application of special provisions concerning the right of asylum and to international protection or the issue of long-stay visas. 5. 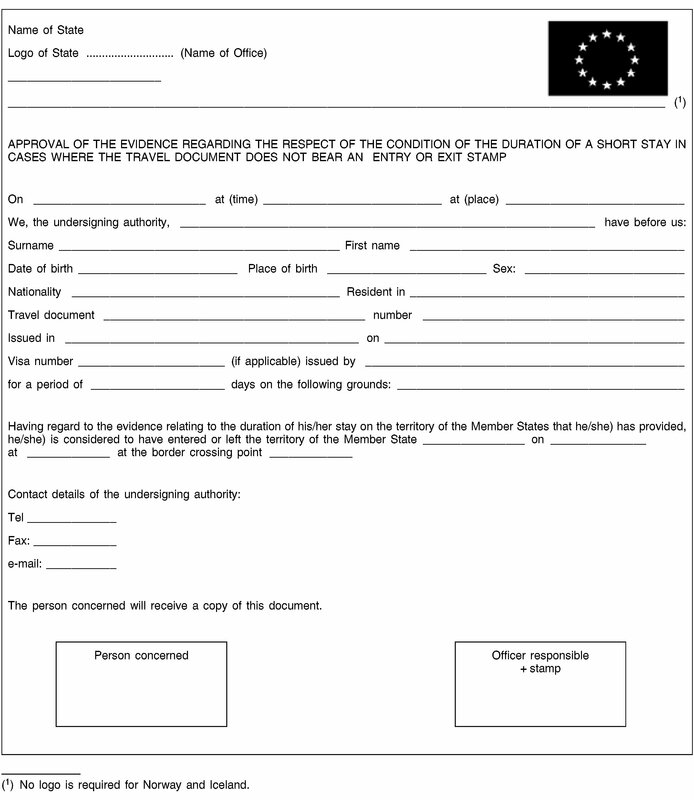 Member States shall collect statistics on the number of persons refused entry, the grounds for refusal, the nationality of the persons who were refused entry and the type of border (land, air or sea) at which they were refused entry and submit them yearly to the Commission (Eurostat) in accordance with Regulation (EC) No 862/2007 of the European Parliament and of the Council ( 12 ). Member States shall deploy appropriate staff and resources in sufficient numbers to carry out border control at the external borders, in accordance with Articles 7 to 14, in such a way as to ensure an efficient, high and uniform level of control at their external borders. 1. The border control provided for by Articles 7 to 14 shall be carried out by border guards in accordance with the provisions of this Regulation and with national law. Member States shall ensure that the border guards are specialised and properly trained professionals, taking into account common core curricula for border guards established and developed by the European Agency for the Management of Operational Cooperation at the External Borders of the Member States (‘the Agency’) established by Regulation (EC) No 2007/2004. Training curricula shall include specialised training for detecting and dealing with situations involving vulnerable persons, such as unaccompanied minors and victims of trafficking. Member States, with the support of the Agency, shall encourage border guards to learn the languages necessary for the carrying-out of their tasks. 2. Member States shall notify to the Commission the list of national services responsible for border control under their national law in accordance with Article 39. 1. The Member States shall assist each other and shall maintain close and constant cooperation with a view to the effective implementation of border control, in accordance with Articles 7 to 16. They shall exchange all relevant information. 2. Operational cooperation between Member States in the field of management of external borders shall be coordinated by the Agency. 1. Member States which do not apply Article 22 at their common land borders may, up to the date of application of that Article, jointly control those common borders, in which case a person may be stopped only once for the purpose of carrying out entry and exit checks, without prejudice to the individual responsibility of Member States arising from Articles 7 to 14. Those specific rules may contain derogations from Articles 5 and 6 and Articles 8 to 14. 2. Member States shall notify to the Commission the model cards issued by their Ministries of Foreign Affairs to accredited members of diplomatic missions and consular representations and members of their families in accordance with Article 39. (b) submitting its strategic plans, based on a risk assessment, including information on the deployment of personnel and equipment, to the Agency for its opinion thereon. That implementing act shall be adopted in accordance with the examination procedure referred to in Article 38(2). 2. The Commission shall inform the committee established pursuant to Article 38(1) on a regular basis of the progress in the implementation of the measures referred to in paragraph 1 of this Article and on its impact on the deficiencies identified. It shall also inform the European Parliament and the Council. 3. Where an evaluation report as referred to in paragraph 1 has concluded that the evaluated Member State is seriously neglecting its obligations and must therefore report on the implementation of the relevant action plan within three months in accordance with Article 16(4) of Regulation (EU) No 1053/2013, and where, following that three-month period, the Commission finds that the situation persists, it may trigger the application of the procedure provided for in Article 29 of this Regulation where all the conditions for doing so are fulfilled. (d) the possibility for a Member State to provide by law for an obligation on third-country nationals to report their presence on its territory pursuant to the provisions of Article 22 of the Convention implementing the Schengen Agreement of 14 June 1985 between the Governments of the States of the Benelux Economic Union, the Federal Republic of Germany and the French Republic on the gradual abolition of checks at their common borders (‘the Schengen Convention’). 1. Where, in the area without internal border control, there is a serious threat to public policy or internal security in a Member State, that Member State may exceptionally reintroduce border control at all or specific parts of its internal borders for a limited period of up to 30 days or for the foreseeable duration of the serious threat if its duration exceeds 30 days. The scope and duration of the temporary reintroduction of border control at internal borders shall not exceed what is strictly necessary to respond to the serious threat. 2. Border control at internal borders shall only be reintroduced as a last resort, and in accordance with Articles 27, 28 and 29. The criteria referred to, respectively, in Articles 26 and 30 shall be taken into account in each case where a decision on the reintroduction of border control at internal borders is considered pursuant, respectively, to Article 27, 28 or 29. 3. If the serious threat to public policy or internal security in the Member State concerned persists beyond the period provided for in paragraph 1 of this Article, that Member State may prolong border control at its internal borders, taking account of the criteria referred to in Article 26 and in accordance with Article 27, on the same grounds as those referred to in paragraph 1 of this Article and, taking into account any new elements, for renewable periods of up to 30 days. 4. The total period during which border control is reintroduced at internal borders, including any prolongation provided for under paragraph 3 of this Article, shall not exceed six months. Where there are exceptional circumstances as referred to in Article 29, that total period may be extended to a maximum length of two years, in accordance with paragraph 1 of that Article. (b) the likely impact of such a measure on free movement of persons within the area without internal border control. (e) where appropriate, the measures to be taken by the other Member States. A notification under the first subparagraph may also be submitted jointly by two or more Member States. If necessary, the Commission may request additional information from the Member State(s) concerned. 2. The information referred to in paragraph 1 shall be submitted to the European Parliament and to the Council at the same time as it is notified to the other Member States and to the Commission pursuant to that paragraph. 3. Member States making a notification under paragraph 1 may, where necessary and in accordance with national law, decide to classify parts of the information. Such classification shall not preclude information from being made available by the Commission to the European Parliament. The transmission and handling of information and documents transmitted to the European Parliament under this Article shall comply with rules concerning the forwarding and handling of classified information which are applicable between the European Parliament and the Commission. 4. Following notification by a Member State under paragraph 1 and with a view to consultation provided for in paragraph 5, the Commission or any other Member State may, without prejudice to Article 72 TFEU, issue an opinion. 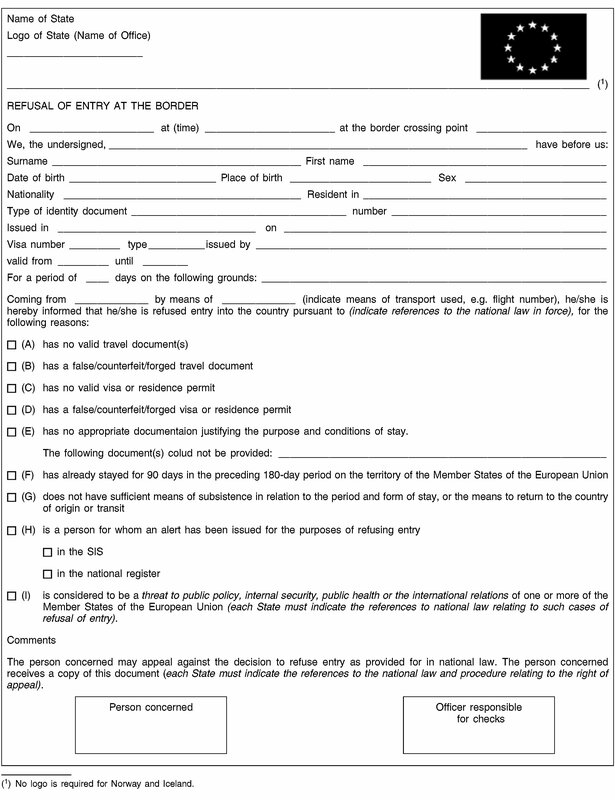 If, based on the information contained in the notification or on any additional information it has received, the Commission has concerns as regards the necessity or proportionality of the planned reintroduction of border control at internal borders, or if it considers that a consultation on some aspect of the notification would be appropriate, it shall issue an opinion to that effect. 5. The information referred to in paragraph 1 and any Commission or Member State opinion under paragraph 4 shall be the subject of consultation, including, where appropriate, joint meetings between the Member State planning to reintroduce border control at internal borders, the other Member States, especially those directly affected by such measures, and the Commission, with a view to organising, where appropriate, mutual cooperation between the Member States and to examining the proportionality of the measures to the events giving rise to the reintroduction of border control and the threat to public policy or internal security. 6. The consultation referred to in paragraph 5 shall take place at least ten days before the date planned for the reintroduction of border control. 1. Where a serious threat to public policy or internal security in a Member State requires immediate action to be taken, the Member State concerned may, on an exceptional basis, immediately reintroduce border control at internal borders, for a limited period of up to ten days. 2. Where a Member State reintroduces border control at internal borders, it shall at the same time notify the other Member States and the Commission accordingly, and shall supply the information referred to in Article 27(1), including the reasons that justify the use of the procedure set out in this Article. The Commission may consult the other Member States immediately upon receipt of the notification. 3. If the serious threat to public policy or internal security persists beyond the period provided for in paragraph 1 of this Article, the Member State may decide to prolong the border control at internal borders for renewable periods of up to 20 days. In doing so, the Member State concerned shall take into account the criteria referred to in Article 26, including an updated assessment of the necessity and the proportionality of the measure, and shall take into account any new elements. In the event of such a prolongation, the provisions of Article 27(4) and (5) shall apply mutatis mutandis, and the consultation shall take place without delay after the decision to prolong has been notified to the Commission and to the Member States. 4. Without prejudice to Article 25(4), the total period during which border control is reintroduced at internal borders, on the basis of the initial period under paragraph 1 of this Article and any prolongations under paragraph 3 of this Article, shall not exceed two months. 5. The Commission shall inform the European Parliament without delay of notifications made under this Article. 1. In exceptional circumstances, where the overall functioning of the area without internal border control is put at risk as a result of persistent serious deficiencies relating to external border control as referred to in Article 21 of this Regulation or as a result of the non-compliance of a Member State with a Council decision referred to in Article 19(1) of Regulation (EU) 2016/1624 of the European Parliament and of the Council ( 13 ), and insofar as those circumstances constitute a serious threat to public policy or internal security within the area without internal border control or within parts thereof, border control at internal borders may be reintroduced in accordance with paragraph 2 of this Article for a period of up to six months. That period may be prolonged, no more than three times, for a further period of up to six months if the exceptional circumstances persist. 2. The Council may, as a last resort and as a measure to protect the common interests within the area without internal border control, where all other measures, in particular those referred to in Article 21(1), are ineffective in mitigating the serious threat identified, recommend that one or more Member States decide to reintroduce border control at all or at specific parts of their internal borders. The Council’s recommendation shall be based on a proposal from the Commission. The Member States may request the Commission to submit such a proposal to the Council for a recommendation. In its recommendation, the Council shall at least indicate the information referred to in Article 27(1)(a) to (e). The Council may recommend a prolongation in accordance with the conditions and procedure set out in this Article. Before a Member State reintroduces border control at all or at specific parts of its internal borders under this paragraph, it shall notify the other Member States, the European Parliament and the Commission accordingly. 3. In the event that the recommendation referred to in paragraph 2 is not implemented by a Member State, that Member State shall without delay inform the Commission in writing of its reasons. In such a case, the Commission shall present a report to the European Parliament and to the Council assessing the reasons provided by the Member State concerned and the consequences for protecting the common interests of the area without internal border control. 4. On duly justified grounds of urgency relating to situations where the circumstances giving rise to the need to prolong border control at internal borders in accordance with paragraph 2 become known less than 10 days before the end of the preceding reintroduction period, the Commission may adopt any necessary recommendations by means of immediately applicable implementing acts in accordance with the procedure referred to in Article 38(3). Within 14 days of the adoption of such recommendations, the Commission shall submit to the Council a proposal for a recommendation in accordance with paragraph 2 of this Article. 5. This Article shall be without prejudice to measures that may be adopted by the Member States in the event of a serious threat to public policy or internal security under Articles 25, 27 and 28. (c) the likely impact of the reintroduction of border control on the free movement of persons within the area without internal border control. (b) carry out on-site visits, with the support of experts from Member States and of the Agency, Europol or any other relevant Union body, office or agency, in order to obtain or verify information relevant for that recommendation. The Commission and the Member State(s) concerned shall inform the European Parliament and the Council as soon as possible of any reasons which might trigger the application of Article 21 and Articles 25 to 30. Within four weeks of the lifting of border control at internal borders, the Member State which has carried out border control at internal borders shall present a report to the European Parliament, the Council and the Commission on the reintroduction of border control at internal borders, outlining, in particular, the initial assessment and the respect of the criteria referred to in Articles 26, 28 and 30, the operation of the checks, the practical cooperation with neighbouring Member States, the resulting impact on the free movement of persons, the effectiveness of the reintroduction of border control at internal borders, including an ex-post assessment of the proportionality of the reintroduction of border control. The Commission may issue an opinion on that ex-post assessment of the temporary reintroduction of border control at one or more internal borders or at parts thereof. The Commission shall present to the European Parliament and to the Council, at least annually, a report on the functioning of the area without internal border control. The report shall include a list of all decisions to reintroduce border control at internal borders taken during the relevant year. The Commission and the Member State concerned shall inform the public in a coordinated manner on a decision to reintroduce border control at internal borders and indicate in particular the start and end date of such a measure, unless there are overriding security reasons for not doing so. At the request of the Member State concerned, the other Member States, the European Parliament and the Commission shall respect the confidentiality of information supplied in connection with the reintroduction and prolongation of border control and the report drawn up under Article 33. The Commission shall be empowered to adopt delegated acts in accordance with Article 37 concerning amendments to Annexes III, IV and VIII. 2. The power to adopt delegated acts referred to in Article 13(5) and Article 36 shall be conferred on the Commission for an indeterminate period of time. 3. The delegation of powers referred to in Article 13(5) and Article 36 may be revoked at any time by the European Parliament or by the Council. A decision to revoke shall put an end to the delegation of the power specified in that decision. It shall take effect the day following the publication of the decision in the Official Journal of the European Union or at a later date specified therein. It shall not affect the validity of any delegated acts already in force. 5. A delegated act adopted pursuant to Article 13(5) and Article 36 shall enter into force only if no objection has been expressed either by the European Parliament or the Council within a period of two months of notification of that act to the European Parliament and the Council or if, before the expiry of that period, the European Parliament and the Council have both informed the Commission that they will not object. That period shall be extended by two months at the initiative of the European Parliament or of the Council. (g) the statistics referred to in Article 11(3). This Regulation shall be without prejudice to Union rules on local border traffic and to existing bilateral agreements on local border traffic. The provisions of this Regulation shall not affect the special rules applying to the cities of Ceuta and Melilla, as defined in the Declaration by the Kingdom of Spain on the cities of Ceuta and Melilla in the Final Act to the Agreement on the Accession of the Kingdom of Spain to the Convention implementing the Schengen Agreement of 14 June 1985 ( 15 ). The Member States shall notify the Commission of national provisions relating to Article 23(c) and (d), the penalties as referred to in Article 5(3) and the bilateral agreements authorised by this Regulation. Subsequent changes to those provisions shall be notified within five working days. 1. In accordance with the Treaties and without prejudice to their provisions on infringement procedures, the implementation by each Member State of this Regulation shall be evaluated through an evaluation mechanism. 2. The rules on the evaluation mechanism are specified in Regulation (EU) No 1053/2013. In accordance with that evaluation mechanism, the Member States and the Commission are, jointly, to conduct regular, objective and impartial evaluations in order to verify the correct application of this Regulation and the Commission is to coordinate the evaluations in close cooperation with the Member States. Under that mechanism, every Member State is evaluated at least every five years by a small team consisting of Commission representatives and of experts designated by the Member States. Evaluations may consist of announced or unannounced on-site visits at external or internal borders. In accordance with that evaluation mechanism, the Commission is responsible for adopting the multiannual and annual evaluation programmes and the evaluation reports. 3. In the case of possible deficiencies recommendations for remedial action may be addressed to the Member States concerned. Where serious deficiencies in the carrying out of external border control are identified in an evaluation report adopted by the Commission in accordance with Article 14 of Regulation (EU) No 1053/2013, Articles 21 and 29 of this Regulation shall apply. 4. The European Parliament and the Council shall be informed at all stages of the evaluation and be transmitted all the relevant documents, in accordance with the rules on classified documents. 5. The European Parliament shall be immediately and fully informed of any proposal to amend or to replace the rules laid down in Regulation (EU) No 1053/2013. Regulation (EC) No 562/2006 is repealed. References to the repealed Regulation shall be construed as references to this Regulation and shall be read in accordance with the correlation table in Annex X. 1. The travel documents of third-country nationals shall be systematically stamped on entry and exit, in accordance with Article 11. The specifications of those stamps are laid down in the Schengen Executive Committee Decision SCH/COM-EX (94) 16 rev and SCH/Gem-Handb (93) 15 (CONFIDENTIAL). 2. The security codes on the stamps shall be changed at regular intervals not exceeding one month. 3. On the entry and exit of third-country nationals subject to the visa obligation, the stamp shall, as a general rule, be affixed on the page facing the one on which the visa is affixed. (c) the security code of a given stamp at any given time. (d) record every refusal of entry in a register or on a list stating the identity and nationality of the third-country national concerned, the references of the document authorising the third-country national to cross the border and the reason for, and date of, refusal of entry. 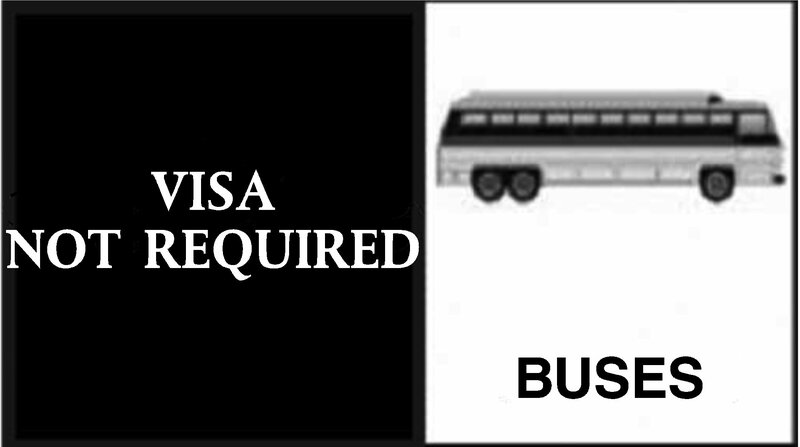 (b) pending onward transportation, take appropriate measures, in compliance with national law and having regard to local circumstances, to prevent third-country nationals who have been refused entry from entering illegally. 3. If there are grounds both for refusing entry to a third-country national and arresting him or her, the border guard shall contact the authorities responsible to decide on the action to be taken in accordance with national law. To ensure effective checks on persons, while ensuring the safety and smooth flow of road traffic, movements at border crossing points shall be regulated in an appropriate manner. Where necessary, Member States may conclude bilateral agreements to channel and block traffic. They shall inform the Commission thereof pursuant to Article 42. At land borders, Member States may, where they deem appropriate and if circumstances allow, install or operate separate lanes at certain border crossing points, in accordance with Article 10. Separate lanes may be dispensed with at any time by the Member States’ competent authorities, in exceptional circumstances and where traffic and infrastructure conditions so require. 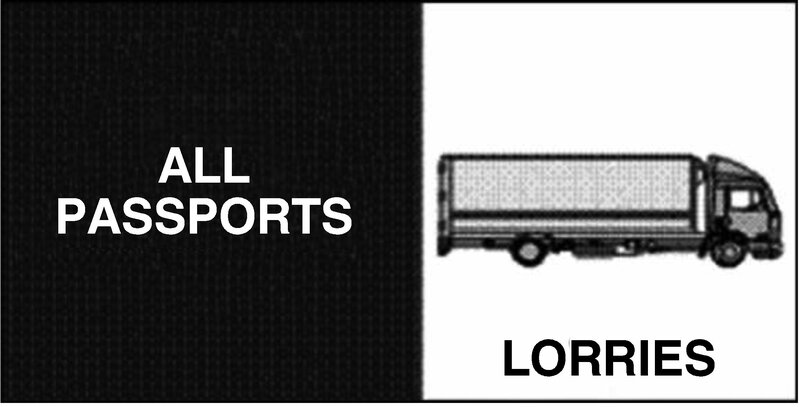 As a general rule, persons travelling in vehicles may remain inside them during checks. 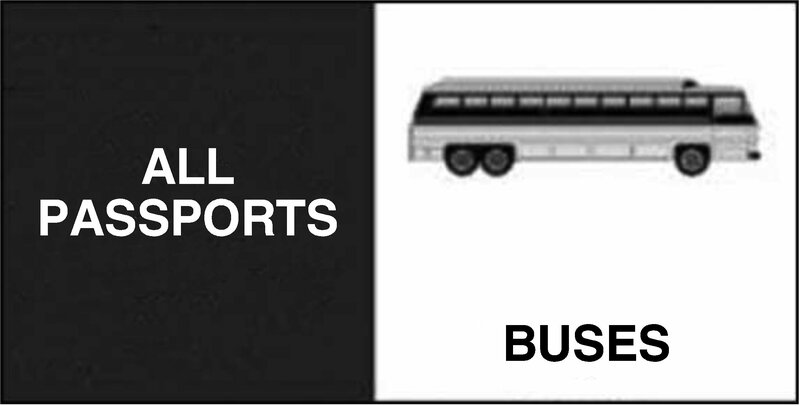 However, if circumstances so require, persons may be requested to alight from their vehicles. Thorough checks will be carried out, if local circumstances allow, in areas designated for that purpose. In the interests of staff safety, checks will be carried out, where possible, by two border guards. 1.1.4.1. Member States may conclude or maintain bilateral agreements with neighbouring third countries concerning the establishment of shared border crossing points, at which Member State border guards and third-country border guards carry out exit and entry checks one after another in accordance with their national law on the territory of the other party. Shared border crossing points may be located either on the territory of a Member State territory or on the territory of a third country. (a) International protection: a third-country national asking for international protection on Member State territory shall be given access to relevant Member State procedures in accordance with the Union asylum acquis. (b) Arrest of a person or seizure of property: if third-country border guards become aware of facts justifying the arrest or placing under protection of a person or seizure of property, they shall inform Member State authorities of those facts and Member State authorities shall ensure an appropriate follow-up in accordance with national, Union and international law, independently of the nationality of the concerned person. (c) Persons enjoying the right of free movement under Union law entering Union territory: third-country border guards shall not prevent persons enjoying the right of free movement under Union law from entering Union territory. If there are reasons justifying refusal of exit from the third country concerned, third-country border guards shall inform Member State authorities of those reasons and Member State authorities shall ensure an appropriate follow-up in accordance with national, Union and international law. (a) International protection: a third-country national who has passed exit control by third-country border guards and subsequently asks Member State border guards present in the third country for international protection, shall be given access to relevant Member State procedures in accordance with Union asylum acquis. Third-country authorities shall accept the transfer of the person concerned into Member State territory. (b) Arrest of a person or seizure of property: if Member State border guards become aware of facts justifying the arrest or placing under protection of a person or seizure of property, they shall act in accordance with national, Union and international law. Third-country authorities shall accept a transfer of the person or object concerned into Member State territory. (c) Access to IT systems: Member State border guards shall be able to use information systems processing personal data in accordance with Article 8. Member States shall be allowed to establish the technical and organisational security measures required by Union law to protect personal data against accidental or unlawful destruction or accidental loss, alteration, unauthorised disclosure or access, including access by third-country authorities. 1.1.4.4. Before concluding or amending any bilateral agreement on shared border crossing points with a neighbouring third country, the Member State concerned shall consult the Commission as to the compatibility of the agreement with Union law. Pre-existing bilateral agreements shall be notified to the Commission by 20 January 2014. If the Commission considers the agreement to be incompatible with Union law, it shall notify the Member State concerned. The Member State shall take all appropriate steps to amend the agreement within a reasonable period in such a way as to eliminate the incompatibilities established. — in the last station of departure or the first station of arrival on the territory of a third country. — on board the train during transit between stations on the territory of a third country and stations on the territory of the Member States, provided that the persons stay on board the train. With respect to high-speed trains from third countries making several stops in the territory of the Member States, if the rail transport carrier is in a position to board passengers exclusively for the remaining part of the journey within the territory of the Member States, such passengers shall be subject to entry checks either on the train or at the station of destination except where checks have been carried out pursuant to points 1.2.1 or 1.2.2 first indent. Persons who wish to take the train exclusively for the remaining part of the journey within the territory of the Member States shall receive clear notification prior to the train’s departure that they will be subject to entry checks during the journey or at the station of destination. When travelling in the opposite direction, the persons on board the train shall be subject to exit checks under similar arrangements. The border guard may order the cavities of carriages to be inspected if necessary with the assistance of the train inspector, to ensure that persons or objects subject to border checks are not concealed in them. Where there are reasons to believe that persons who have been reported or are suspected of having committed an offence, or third-country nationals intending to enter illegally, are hiding on a train, the border guard, if he or she cannot act in accordance with his national provisions, shall notify the Member States towards or within whose territory the train is moving. (iii) where an airline may, for flights from third countries with more than one stop-over within the territory of the Member States, board passengers only for the remaining leg within that territory, passengers shall be subject to an exit check at the airport of departure and an entry check at the airport of arrival. Checks on passengers who, during those stop-overs, are already on board the aircraft and have not boarded in the territory of the Member States shall be carried out in accordance with point (ii). The reverse procedure shall apply to that category of flights where the country of destination is a third country. 2.1.3. Border checks will normally not be carried out on the aircraft or at the gate, unless it is justified on the basis of an assessment of the risks related to internal security and illegal immigration. In order to ensure that, at the airports designated as border crossing points, persons are checked in accordance with the rules set out in Articles 7 to 14, Member States shall ensure that the airport authorities take the requisite measures to channel passenger traffic to facilities reserved for checks. 2.1.4. Where, in cases of force majeure or imminent danger or on the instructions of the authorities, an aircraft on a flight from a third country has to land on a landing ground which is not a border crossing point, that aircraft may continue its flight only after authorisation from the border guards and from customs. The same shall apply where an aircraft on a flight from a third country lands without permission. In any event, Articles 7 to 14 shall apply to checks on persons on those aircraft. 2.2.1. It shall be ensured that persons are also checked, in accordance with Articles 7 to 14, in airports which do not hold the status of international airport under the relevant national law (aerodromes) but through which the routing of flights from or to third countries is authorised. 2.2.2. By way of derogation from point 2.1.1 it shall not be necessary to make appropriate arrangements in aerodromes to ensure that inflows of passengers from internal and other flights are physically separated, without prejudice to Regulation (EC) No 300/2008 of the European Parliament and of the Council ( 18 ). In addition, when the volume of traffic is low, the border guards need not be present at all times, provided that there is a guarantee that the necessary personnel can be deployed in good time. 2.3.1. In the case of private flights from or to third countries the captain shall transmit to the border guards of the Member State of destination and, where appropriate, of the Member State of first entry, prior to take-off, a general declaration comprising inter alia a flight plan in accordance with Annex 2 to the Convention on International Civil Aviation and information concerning the passengers’ identity. 3.1.1. Checks on ships shall be carried out at the port of arrival or departure, or in an area set aside for that purpose, located in the immediate vicinity of the vessel or on board ship in the territorial waters as defined by the United Nations Convention on the Law of the Sea. Member States may conclude agreements according to which checks may also be carried out during crossings or, upon the ship’s arrival or departure, on the territory of a third country, respecting the principles set out in point 1.1.4. — if the port of call is not known or it is changed during the voyage, as soon as this information is available. 3.1.3. A confirmation of receipt (signed copy of the list(s) or an electronic receipt confirmation) shall be returned to the master by the border guards or by the authorities referred to in point 3.1.2., who shall produce it on request when the ship is in port. 3.1.4. The master shall promptly report to the competent authority any changes to the composition of the crew or the number of passengers. By way of derogation from Articles 5 and 8, no systematic border checks shall be carried out on persons staying aboard. Nevertheless a search of the ship and checks on the persons staying aboard shall be carried out by border guards only when this is justified on the basis of an assessment of the risks related to internal security and illegal immigration. 3.1.5. The master shall notify the competent authority of the ship’s departure in due time and in accordance with the rules in force in the port concerned. 3.2.1. The cruise ship’s master shall transmit to the competent authority the itinerary and the programme of the cruise, as soon as they have been established and no later than within the time-limit set out in point 3.1.2. 3.2.2. If the itinerary of a cruise ship comprises exclusively ports situated in the territory of the Member States, by way of derogation from Articles 5 and 8, no border checks shall be carried out and the cruise ship may dock at ports which are not border crossing points. Nevertheless, checks shall be carried out on the crew and passengers of those ships only when this is justified on the basis of an assessment of the risks related to internal security and illegal immigration. (a) where the cruise ship comes from a port situated in a third country and calls for the first time at a port situated in the territory of a Member State, crew and passengers shall be subject to entry checks on the basis of the nominal lists of crew and passengers, as referred to in point 3.1.2. (b) where the cruise ship comes from a port situated in a third country and calls again at a port situated in the territory of a Member State, crew and passengers shall be subject to entry checks on the basis of the nominal lists of crew and passengers as referred to in point 3.1.2. to the extent that those lists have been modified since the cruise ship called at the previous port situated in the territory of a Member State. (d) where a cruise ship departs from a port situated in a Member State to a port in a third country, crew and passengers shall be subject to exit checks on the basis of the nominal lists of crew and passengers. (e) where a cruise ship departs from a port situated in a Member State to such a port, no exit checks shall be carried out. 3.2.4. By way of derogation from Articles 5 and 8, persons on board a pleasure boat coming from or departing to a port situated in a Member State shall not be subject to border checks and may enter a port which is not a border crossing point. 3.2.5. By way of derogation from Article 5, a pleasure boat coming from a third country may, exceptionally, enter a port which is not a border crossing point. In that case, the persons on board shall notify the port authorities in order to be authorised to enter that port. The port authorities shall contact the authorities in the nearest port designated as a border crossing point in order to report the vessel’s arrival. The declaration regarding passengers shall be made by lodging the list of persons on board with the port authorities. That list shall be made available to the border guards, at the latest upon arrival. Likewise, if for reasons of force majeure the pleasure boat coming from a third country has to dock in a port other than a border crossing point, the port authorities shall contact the authorities in the nearest port designated as a border crossing point in order to report the vessel’s presence. 3.2.6. During those checks, a document containing all the technical characteristics of the vessel and the names of the persons on board shall be handed in. A copy of that document shall be given to the authorities in the ports of entry and departure. As long as the vessel remains in the territorial waters of one of the Member States, a copy of that document shall be included amongst the ship’s papers. 3.2.7. By way of derogation from Articles 5 and 8, the crews of coastal fisheries vessels which return every day or within 36 hours to the port of registration or to any other port situated in the territory of the Member States without docking in a port situated in the territory of a third country shall not be systematically checked. Nevertheless, the assessment of the risks of illegal immigration, in particular where the coastline of a third country is located in the immediate vicinity of the territory of the Member State concerned, shall be taken into account in order to determine the frequency of the checks to be carried out. According to those risks, checks on persons and/or a physical search of the vessel shall be carried out. 3.2.8. The crews of coastal fisheries vessels not registered in a port situated in the territory of a Member State shall be checked in accordance with the provisions relating to seamen. (i) point 3.1.2. (obligation to submit passenger and crew lists) does not apply. 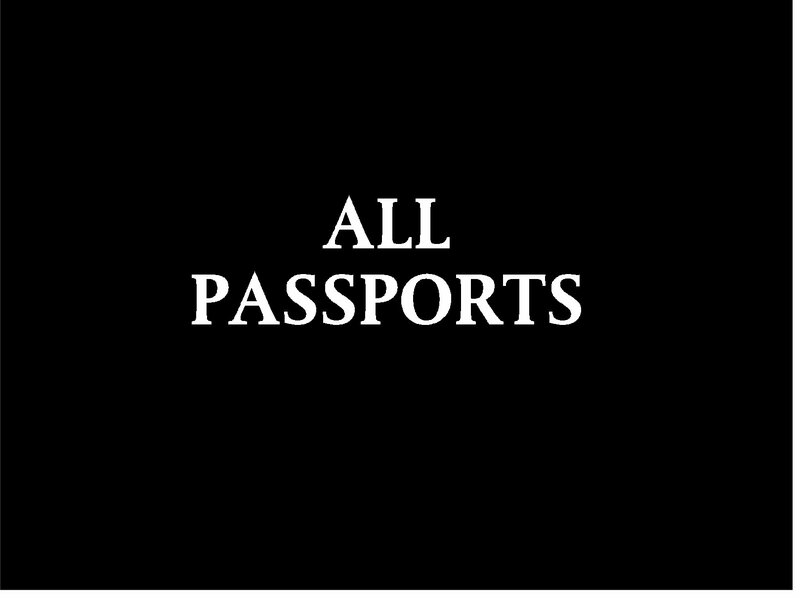 If a list of the persons on board has to be drawn up in accordance with Council Directive 98/41/EC ( 19 ), a copy of that list shall be transmitted not later than thirty minutes after departure from a third-country port by the master to the competent authority of the port of arrival on the territory of the Member States. 3.2.10. Where a ferry coming from a third country with more than one stop within the territory of the Member States takes passengers on board only for the remaining leg within that territory, those passengers shall be subject to an exit check at the port of departure and an entry check at the port of arrival. Checks on persons who, during those stop-overs, are already on board the ferry and have not boarded in the territory of the Member States shall be carried out at the port of arrival. The reverse procedure shall apply where the country of destination is a third country. 3.2.11. By way of derogation from Article 8, no border checks shall be carried out on cargo connections between the same two or more ports situated on the territory of the Member States, not calling at any ports outside the territory of the Member States and consisting of the transport of goods. Nevertheless, checks shall be carried out on the crew and passengers of those ships only when they are justified on the basis of an assessment of the risks relating to internal security and illegal immigration. By way of derogation from Article 6 and Articles 8 to 14, Heads of State and the members of their delegation, whose arrival and departure have been officially announced through diplomatic channels to the border guards, may not be subject to border checks. (c) go, by any means of transport, to an airport situated in the territory of a Member State in order to embark on an aircraft departing from that same airport. In all other cases, the requirements provided for by Article 6(1) shall be fulfilled. 2.2. Articles 7 to 14 shall apply to checks on aircraft crew members. Wherever possible, priority will be given to checks on aircraft crews. Specifically, they will be checked either before passengers or at special locations set aside for the purpose. By way of derogation from Article 8, crews known to staff responsible for border controls in the performance of their duties may be subject to random checks only. By way of derogation from Articles 5 and 8, Member States may authorise seamen holding a seafarer’s identity document issued in accordance with the International Labour Organization (ILO) Seafarers’ Identity Documents Convention No 108 (1958) or No 185 (2003), the Convention on Facilitation of International Maritime Traffic (FAL Convention) and the relevant national law, to enter the territory of the Member States by going ashore to stay in the area of the port where their ships call or in the adjacent municipalities, or exit the territory of the Member States by returning to their ships, without presenting themselves at a border crossing point, on condition that they appear on the crew list, which has previously been submitted for checking by the competent authorities, of the ship to which they belong. However, on the basis of an assessment of the risks of internal security and illegal immigration, seamen shall be subject to a check in accordance with Article 8 by the border guards before they go ashore. By way of derogation from Article 6(1)(c), persons holding those documents shall not be required to prove that they have sufficient means of subsistence. 4.3. Accredited members of diplomatic missions and of consular representations and their families may enter the territory of the Member States on presentation of the card referred to in Article 20(2) and of the document authorising them to cross the border. Moreover, by way of derogation from Article 14 border guards may not refuse the holders of diplomatic, official or service passports entry to the territory of the Member States without first consulting the appropriate national authorities. This shall also apply where an alert has been entered in the SIS for such persons. — documents issued pursuant to paragraph 2 of Article III of the Agreement between the Parties to the North Atlantic Treaty regarding the Status of their Force (military ID cards accompanied by a travel order, travel warrant, or an individual or collective movement order) as well as documents issued in the framework of the Partnership for Peace. 5.1. The procedures for checking cross-border workers are governed by the general rules on border control, in particular Articles 8 and 14. 5.2. By way of derogation from Article 8, cross-border workers who are well known to the border guards owing to their frequent crossing of the border at the same border crossing point and who have not been revealed by an initial check to be the subject of an alert in the SIS or in a national data file shall be subject only to random checks to ensure that they hold a valid document authorising them to cross the border and fulfil the necessary entry conditions. Thorough checks shall be carried out on those persons from time to time, without warning and at irregular intervals. 6.4. Member States shall nominate national contact points for consultation on minors and inform the Commission thereof. A list of these national contact points shall be made available to the Member States by the Commission. 6.5. Where there is doubt as to any of the circumstances set out in points 6.1., 6.2. and 6.3., border guards shall make use of the list of national contact points for consultation on minors. The arrangements for the entry and exit of members of rescue services, police, fire brigades acting in emergency situations as well as border guards crossing the border in exercise of their professional tasks shall be laid down by national law. Member States may conclude bilateral agreements with third countries on the entry and exit of those categories of persons. These arrangements and bilateral agreements may provide for derogations from Articles 5, 6 and 8. By way of derogation from Articles 5 and 8, offshore workers who regularly return by sea or air to the territory of the Member States without having stayed on the territory of a third country shall not be systematically checked. Nevertheless, an assessment of the risks of illegal immigration, in particular where the coastline of a third country is located in the immediate vicinity of an offshore site, shall be taken into account in order to determine the frequency of the checks to be carried out. 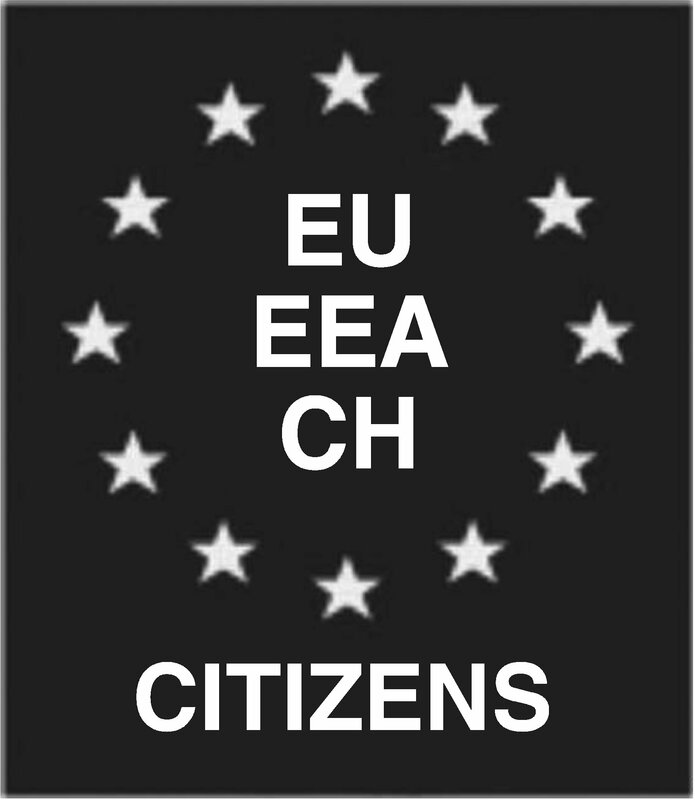 ( 1 ) Directive 2004/38/EC of the European Parliament and of the Council of 29 April 2004 on the right of citizens of the Union and their family members to move and reside freely within the territory of the Member States amending Regulation (EEC) No 1612/68 and repealing Directives 64/221/EEC, 68/360/EEC, 72/194/EEC, 73/148/EEC, 75/34/EEC, 75/35/EEC, 90/364/EEC, 90/365/EEC and 93/96/EEC (OJ L 158, 30.4.2004, p. 77). ( 2 ) Regulation (EC) No 1987/2006 of the European Parliament and of the Council of 20 December 2006 on the establishment, operation and use of the second generation Schengen Information System (SIS II) (OJ L 381, 28.12.2006, p. 4). ( 3 ) Council Regulation (EC) No 1030/2002 of 13 June 2002 laying down a uniform format for residence permits for third-country nationals (OJ L 157, 15.6.2002, p. 1). ( 4 ) Council Regulation (EC) No 1683/95 of 29 May 1995 laying down a uniform format for visas (OJ L 164, 14.7.1995, p. 1). ( 5 ) Council Regulation (EC) No 539/2001 of 15 March 2001 listing the third countries whose nationals must be in possession of visas when crossing the external borders and those whose nationals are exempt from that requirement (OJ L 81, 21.3.2001, p. 1). ( 6 ) Regulation (EC) No 810/2009 of the European Parliament and of the Council of 13 July 2009 establishing a Community Code on Visas (Visa Code) (OJ L 243, 15.9.2009, p. 1). ( 7 ) Council Regulation (EC) No 333/2002 of 18 February 2002 on a uniform format for forms for affixing the visa issued by Member States to persons holding travel documents not recognised by the Member State drawing up the form (OJ L 53, 23.2.2002, p. 4). ( 8 ) Council Regulation (EC) No 2252/2004 of 13 December 2004 on standards for security features and biometrics in passports and travel documents issued by Member States (OJ L 385, 29.12.2004, p. 1). ( 9 ) Regulation (EU) 2016/1624 of the European Parliament and of the Council of 14 September 2016 on the European Border and Coast Guard and amending Regulation (EU) 2016/399 of the European Parliament and of the Council and repealing Regulation (EC) No 863/2007 of the European Parliament and of the Council, Council Regulation (EC) No 2007/2004 and Council Decision 2005/267/EC (OJ L 251, 16.9.2016, p. 1). ( 10 ) Council Directive 2004/82/EC of 29 April 2004 on the obligation of carriers to communicate passenger data (OJ L 261, 6.8.2004, p. 24). ( 11 ) Directive 2008/115/EC of the European Parliament and of the Council of 16 December 2008 on common standards and procedures in Member States for returning illegally staying third-country nationals (OJ L 348, 24.12.2008, p. 98). ( 12 ) Regulation (EC) No 862/2007 of the European Parliament and of the Council of 11 July 2007 on Community statistics on migration and international protection and repealing Council Regulation (EEC) No 311/76 on the compilation of statistics on foreign workers (OJ L 199, 31.7.2007, p. 23). ( 13 ) Regulation (EU) 2016/1624 of the European Parliament and of the Council of 14 September 2016 on the European Border and Coast Guard and amending Regulation (EU) 2016/399 of the European Parliament and of the Council and repealing Regulation (EC) No 863/2007 of the European Parliament and of the Council, Council Regulation (EC) No 2007/2004 and Council Decision 2005/267/EC (OJ L 251, 16.9.2016, p. 1). ( 14 ) Regulation (EU) No 439/2010 of the European Parliament and of the Council of 19 May 2010 establishing a European Asylum Support Office (OJ L 132, 29.5.2010, p. 11). ( 15 ) OJ L 239, 22.9.2000, p. 73. ( 16 ) No logo is required for Norway and Iceland. ( 17 ) Council Directive 2001/51/EC of 28 June 2001 supplementing the provisions of Article 26 of the Convention implementing the Schengen Agreement of 14 June 1985 (OJ L 187, 10.7.2001, p. 45). ( 18 ) Regulation (EC) No 300/2008 of the European Parliament and of the Council of 11 March 2008 on common rules in the field of civil aviation security and repealing Regulation (EC) No 2320/2002 (OJ L 97, 9.4.2008, p. 72). ( 19 ) Council Directive 98/41/EC of 18 June 1998 on the registration of persons sailing on board passenger ships operating to or from ports of the Member States of the Community (OJ L 188, 2.7.1998, p. 35).